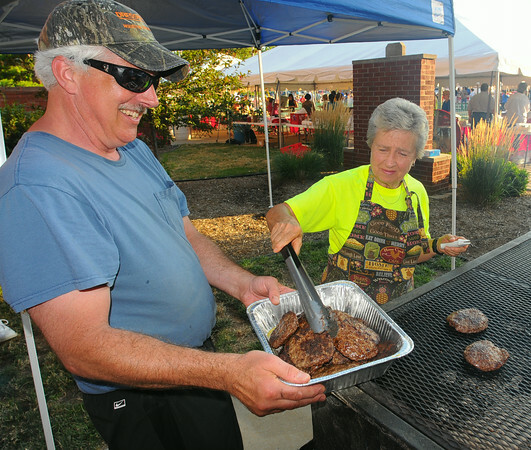 Load it up: Wade Winston holds a tray while Pat Boatman fills it with burgers fresh from the grill. They were working at the St. Ben’s Community Fest Friday evening. The festival continues today from 5 PM until midnight.